While I really don’t think we need any more Angry Birds merchandise, I have to say this is one of the better product tie-ins I’ve seen so far. What we’ve got here is the Angry Birds Helicopter, which actually lets you practice flying your bird with a remote control. Take that green pigs cups! 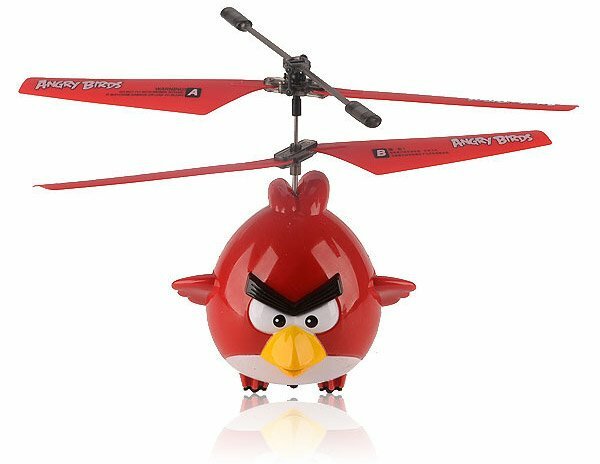 The Angry Birds Helicopter is available now from iHelicopters.net for $49.95 (USD). Eggs not included.